On this day, GIFT is the most ambitious project in Gujarat and competes with the best of international financial centers. The coming of the globally recognized brand, World Trade Center into GIFT City makes it a promising proposition for both. 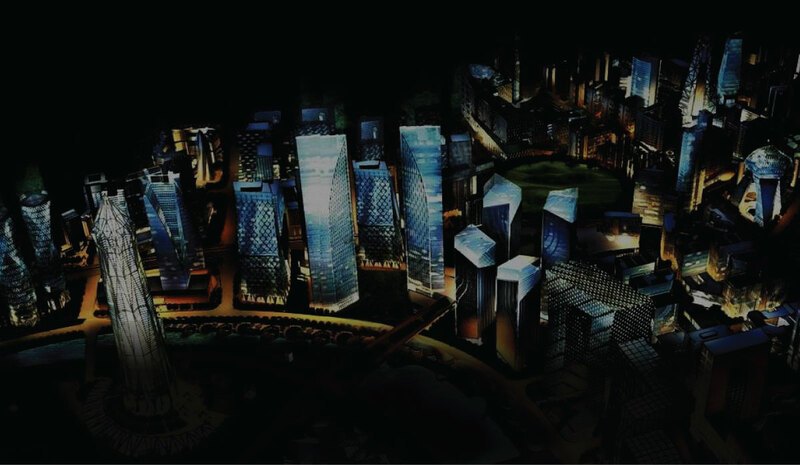 With the global brand recognition it brings, WTC makes GIFT City a truly global epicenter, while the world-class infrastructure of GIFT City enhances the value of WTC as international business destination.The conviction that the global powerbrand WTC gives, with a trusted name like Viridian, makes WTC GIFT City the most dependable project in the business landscape. The global trends of WTC suggest that WTC complexes around the world outperform similar buildings in their markets when it comes to rentals and occupancy. The World Trade Center brand and the exceptional facilities and services it provides attract some of the biggest names from business. The high-profile WTC name and the large number of people frequenting the complex generate more demand for the complex resulting in higher rents, faster sales, longer leases and higher occupancy. Making it not only the preferred business hub, but a lucrative investment destination as well. Coming up in GIFT, which is generating a lot of interest from the business community and has leased out GIFT 1 tower already, WTC City becomes an even more profitable investment. FOR LONG TERM ASSET VALUE. As trade catalysts, WTC Complexes facilitate international trade and thus contribute to development of regional business communities, creating thousands of job opportunities and enabling millions of dollars of business for the regional community. And as real estate projects, WTC buildings are high profile developments that convey a premier international address and are highly desirable locations for business tenants to occupy. It has also been demonstrated that WTC Complexes also influence the infrastructure development in the region. As a result, the value appreciation of WTC properties is faster than the average market and stays consistently higher. In a newly developing zone like GIFT, WTC GIFT will also have a first mover advantage considering the huge growth potential when it is complete. The WTC has inspired plans for a land bridge that will cover 1.2 kms of adjacent highway and rails, as well as the expansion of the Zuid/WTC rail station, to be fully inter-modal by 2020. The arrival of WTC revived a 1,000-acre "Seaport District" which included apartments and condominiums, hotels, retail centers, office buildings, meeting and convention facilities, industrial properties and a new subway station. The first major investment venture in the Brooklin area, just six miles from the city center, The WTC inspired development of the second largest commercial, shopping and entertainment district in the city. In recent years, Brooklin has become index to many large multinationals, including the 30-story Bank of Boston South American headquarters, completed in 2002. Thanks largely to WTC Seoul and the associated development it spawned in the south-west Kangnam Business District (KBD), the KBD is now predicted to surpass the Central Business District (CBD) as the city's commercial and financial center. The KBD is index to new-economy type businesses, such as information technology and pharmaceuticals, and recently announced plans to build a $205 million, 6.7 kilometer monorail. As businesses from around the world come together at WTC, it creates a powerful lobby of like-minded entrepreneurs that can influence policy and legislation, making it a premium real estate address that never fails to deliver, be it business for its members or premiums for its investors. WTC complexes become landmarks in the region they serve, not only for the business circle they create around them but also because there can be only one WTC facility in a city. This makes it an exclusive symbol of international connectedness and competitiveness in the region. Now, WTC GIFT City is set to be the landmark that GIFT and Gujarat will be known by. The WTC Club offers its investors a unique opportunity to own much more than just a real estate property. Membership to the local WTC Club ensures you get similar facilities across the world. It's like having your own office in cities such as London, New York, Tokyo, Hong Kong, Beijing or any of the 330 WTCs. It's an invitation to join a league of world leaders who are helping define the future of the world through business. To realize the vision of making Gujarat a globally competent state, a comprehensive plan for the state has been charted out that encourages industries, IT & financial services and all other economic activities that will give Gujarat, its ultimate economic boost. The Special Investment Regions (SIRs), Petroleum, Chemicals and Petrochemicals Investment Region (PCPIR) and Delhi Mumbai Industrial Corridor (DMIC) proposed as a part of this plan are poised to transform the industrial scenario in the state. A high impact industrial area within 150 kms distance on both sides of the DFC, with an investment potential of US$ 90bn being laid down between Delhi and Mumbai. A world class development spread over 900 sq. km. Change is the only constant. And this change is what keeps the development of a nation going. But sometime in the history of every nation, there comes a revolution that changes the course of progress for the nation in a bigger way. In the early years of independence, it was the dams and canals of India that revolutionized the most crucial sector of the economy then, agriculture. It was therefore that Nehru termed them as the 'New Temples of Resurgent India'. Today, in the 21st century a revolution is changing India again – the Financial and IT revolution.The growth rates in India are one of the best in the world and business is reaching a new high. What is needed to sustain and enhance this growth is new, smart cities that can give businesses the platform to function impeccably. India's Urban Awakening - Building Inclusive Cities, Sustaining Economic Growth, a report by Mckinsey Global Institute ~ The $10 Trillion Prize - Captivating The Newly Affluent In China And India, book by Michael J. Silverstein, Abheek Singhi, Carol Liao, David C. Michael and Simon Targett, published by Harvard Business Review Press ~ China, India Could Be Largest Economies By 2050, a report by PWC ~ Report by Cushman & Wakefield ~ wtcaonline.com ~ giftgujarat.in ~ vibrantgujarat.com. The information and statistical data herein have been obtained from sources we believe to be reliable. Such information has not been independently verified and we make no representation or warranty as to its accuracy, completeness or correctness. The information provided is not intended to provide a sufficient base on which to make an investment decision without being fully satisfied. This information is expected and subjected to change and may vary anytime. World Trade Center, WTC and Map Design Logo are the registered trademarks of the World Trade Centers Association, Inc., New York (WTCA), and WTC Noida Development Company Pvt. Ltd. - a group company of Viridian, having its office at GF-09, Plaza M6, District Centre, Jasola, New Delhi 110025 has entered into a License Agreement with World Trade Centers Association, Inc., to use the name World Trade Center, WTC and Map Design logo of World Trade Center for the GIFT City project as World Trade Center, WTC GIFT CITY. The content provided in this website does not constitute as an invitation, legal offering or promise. No claim is made as to the accuracy or authenticity of the content. All representations made are for illustrative purpose and are not intended to be exhaustive. All images are artistic impressions and indicative only, layout of the project, design and shape of the buildings, name of towers are tentative and may change at developers discretion. *The Brand names and logos used herein are registered trademark of their respective companies. Any unauthorized use thereof in any manner is prohibited. Please refer to the booking application and agreement issued by the company for detailed terms and condition. 1 sq. ft. = 0.093 sq. m.